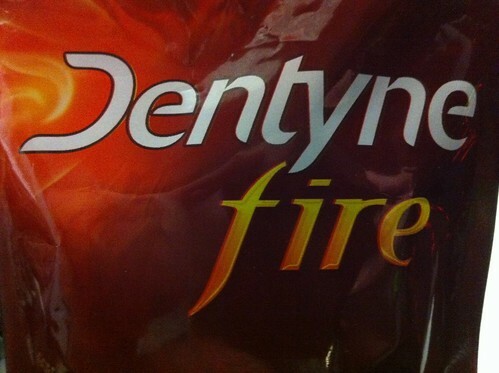 Anyway I found this pouch of Dentyne Fire – chiclet style bite sized pieces- and woooo these things have some serious cinnamon kick. Two of these and I am off to the races. The amount of time these twin-spins-of-cinn kicked out flavor was …well…quite awhile. Just when I think the flavor is starting to run out, I stumble on another twist and blast of cinnamon. Great gum and now part of the arsenal.